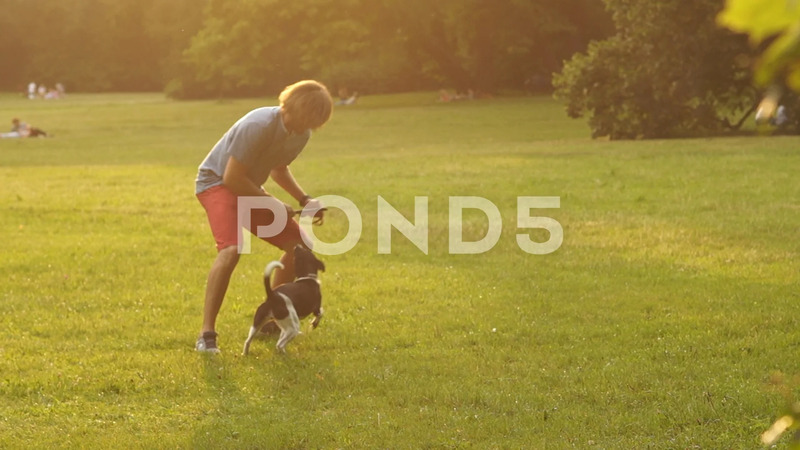 Description: Man trains and runs with the dog in summer on a green meadow in the park. Educating dog. Play with a pet. Dog handler.